What initially sends me out into the world is often a story, photograph or painting; some aspect of the world that haunts me because of its absolute unfamiliarity, its beauty or incomprehensible existence. Trying to render a visual encounter through photography is nearly impossible. Bending and twisting what the camera faithfully describes into something of fiction in order to give form and meaning to what exists in front of you. With the confluence of light, circumstance, chance and a dozen other factors I attempt to conjure up a world, one seemingly half-imagined and breathing with the life of histories. 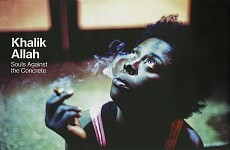 Khalik Allah takes to the streets of New York City, capturing the nocturnal locals of Harlem in a series of bold and beautiful images. In the summer of 1998, Khalik Allah had come to a major crossroad after failing eighth grade. Dancing with a B-boy crew had been keeping him out late at night, and school had failed to interest him. Yet he understood the importance of educating himself. 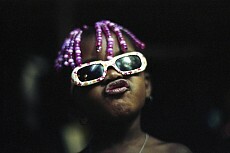 Concerned about his future, he headed up to Harlem and began to study with the Five-Percent Nation at the Allah School. After 40 years, I’m still in awe of William Larson’s Firefly images. 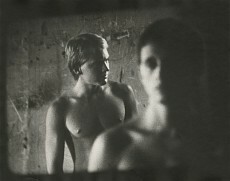 I first encountered them in 1977 when I began working on a chronicle of photography at the Institute of Design (ID) in Chicago, The New Vision: Forty Years of Photography. Larson’s faxed images became a quintessential and exemplary art of my traveling exhibition that originated at the Light Gallery in 1979 and in the subsequent book, published by Aperture in 1982. How time flies! Fireflies in themselves are light in motion. Catching them is about timing (a quick hand) and image making is about all three—time, light and motion. 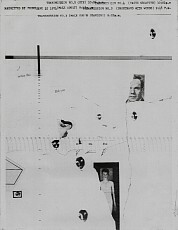 In a single transmission, William Larson caught something new about this relationship that hadn’t been seen before in six-minute transmissions of collaged and montaged images using a Graphic Sciences DEX 1 Teleprinter in 1969. He sent his imagination flying into a new world of transmission. 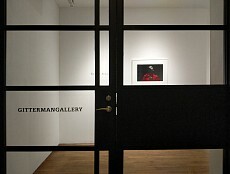 Gitterman Gallery, in New York, is currently the host of one of the most beautiful exhibition of the new season. "Desire is when you see something you like; it looks good to you. That can be a peach, or it can be a person. When artists deny that they're interested in beauty, because they have a conceptual conceit that overrides it… I'm interested in a sort of tenderness, and even sadness, in eroticism." "Process is very meaningful to me because I don't see any other way to discover anything, except by going on the journey. I would never take a tour — I want to wander around with a backpack."